Last edited by DreamensioN; Sep 26th, 2010 at 08:07. Due to Luminosity @ Summerlake broadcast, this show is rescheduled to Friday 24-09-2010 at 21:00 - 23:00 CET. 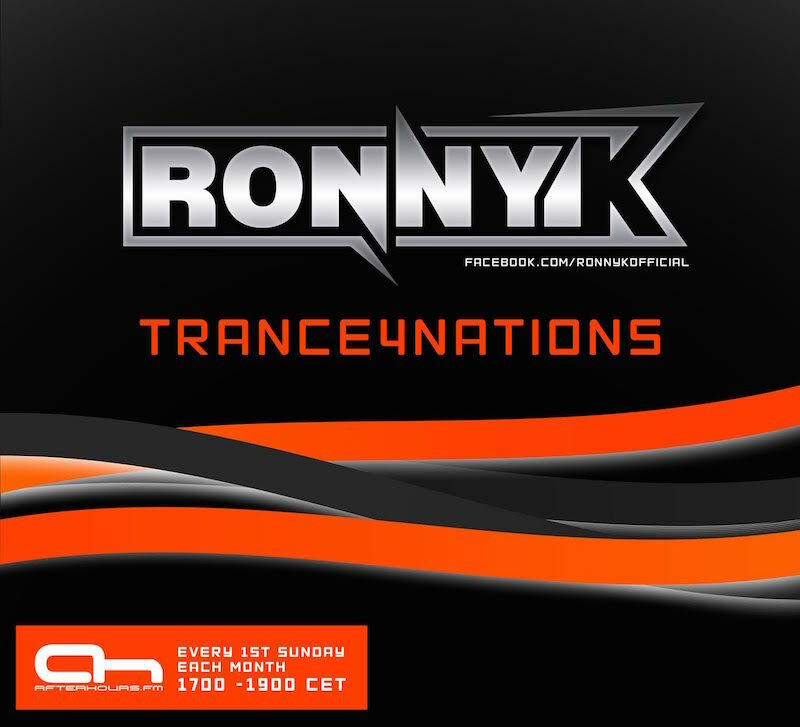 I Am Sure Like Always All Of Episodes of Trance4Nations Will Be Amazing This One TOo,Waiting Already SOooo Excited..!!!!! Hey Ronny! Im tuned and waiting! SUP AH!!! Hope everyones having a great day! Ronny hope will be a very energetic episode!